Involvement in research projects for the development of innovatory products in the health sector with the use of communication technologies. TALANTON with its long lasting previous experience in the business consulting and marketing sector, is involved in research projects by participating in groups of companies and research centers led by European Community. Administrative and technical management activities (preparation of all deliverables of the project, technical reports and financial/administrative reports, as well as the internal communication within Partners). Market Research (to identify system potential users, to analyze users’ needs and to obtain the global system architecture and functional specifications). Dissemination and Exploitation activities (development of both a promotion and dissemination plan – website of projects, prospectus, newsletters, posters, trade gifts, conventions and events, etc.). Participation in the development of a business plan and exploitation plan for the project framework. Testing and Evaluation (integration of all the components into a functional environment, providing all required services, and the technical evaluation of the complete system). Pilot studies (diagnostic software during the real-tests in order to provide a stable product in the market). The POCEMON project aims to the hardware and software development of a multi-purpose autoimmune diseases diagnostic platform by combining Lab-on-Chip (LOC) technologies, typing, microelectronics, mobile devices, intelligent algorithms and wireless communications. The combination of LOC technologies with genomic microarrays of HLA typing will provide a state-of-the-art diagnosis at primary care level, concerning multiple sclerosis and rheumatoid arthritis. The development of a primary care diagnostic LOC platform based on microarrays of HLA typing is the main target of this proposed project. Easily adapted developments will lead to the diagnosis on the majority of autoimmune disorders. The POCEMON platform will advance and promote primary health care diagnosis across Europe. 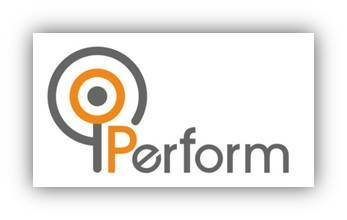 The PERFORM project aims to tackle problems associated with the efficient remote health status monitoring, the qualitative and quantitative assessment and the treatment personalization for people suffering from neurodegenerative diseases and movement disorders, such as Parkinson’s disease (PD). The PERFORM project aspires to research and develop an innovative, intelligent system for monitoring neurodegenerative disease evolution through the employment of a wide range of wearable micro-sensors, advanced knowledge processing and fusion algorithms.